Along the Mt. 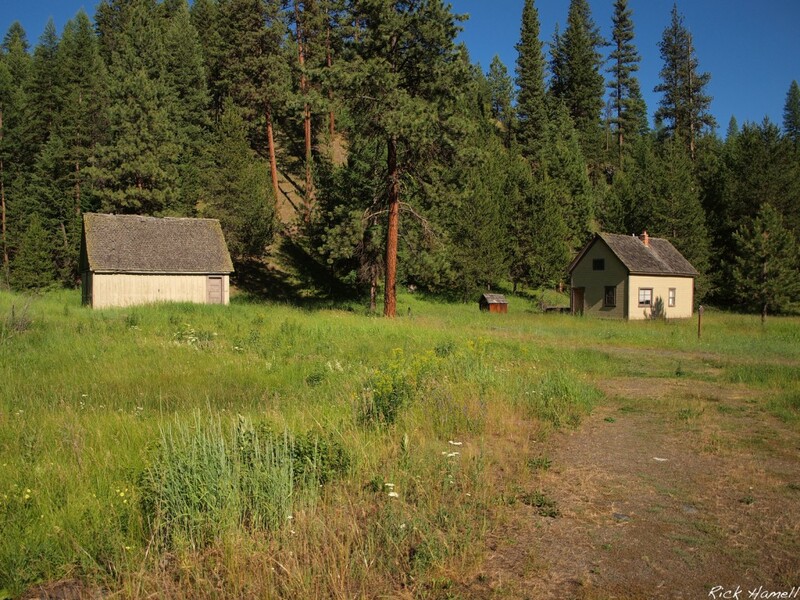 Emily/Grande Ronde River/National Forest Develop Road 51 just off of the Ukiah-Hilgard Highway is this settlement. The design seems to be 1920’2/1930’s style, either someone’s homestead or more likely built by the U.S. Forest Service as an outpost. There are no signs, but both buildings seem to be in great shape.